“PRODIGALS AND GENIUSES. 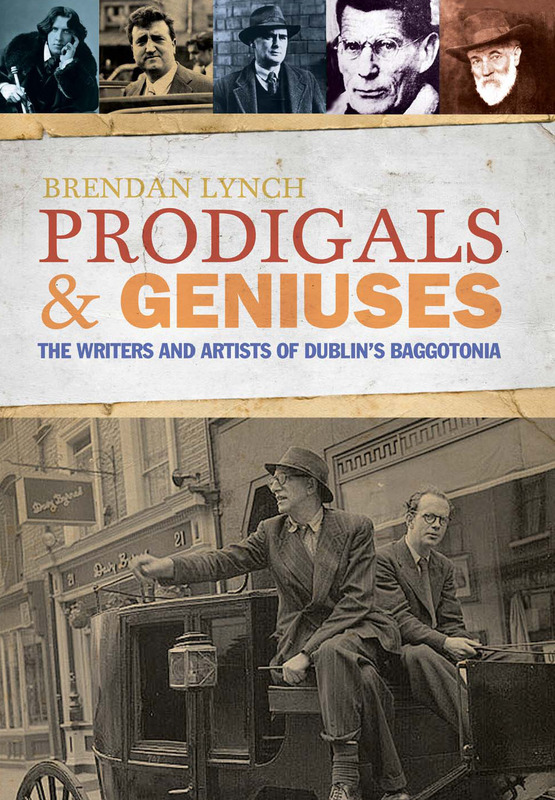 The Writers and Artists of Dublin’s Baggotonia” is Brendan Lynch’s latest book. London has Fitzrovia, Paris its Left Bank. But Georgian Dublin boasts an equally atmospheric Bohemian quarter. Centred on Baggot and Leeson Streets, and girdled by the Grand Canal, it is the unmapped village of writers, artists and ne’er-do-wells which in the 1950’s became known as “Baggotonia”. Its inhabitants and habitués include four winners of the Nobel Prize for Literature and nearly every nineteenth and twentieth century Irish writer of note.